In six research departments Digital Experience & Participation, Electronic Markets & User Behavior, Intelligent Enterprise Systems, Digital Service Design & Innovation, Business Data Analytics, and Smart Grids & Energy Markets interdisciplinary researchers work together in order to accelerate digitalization of businesses and society. 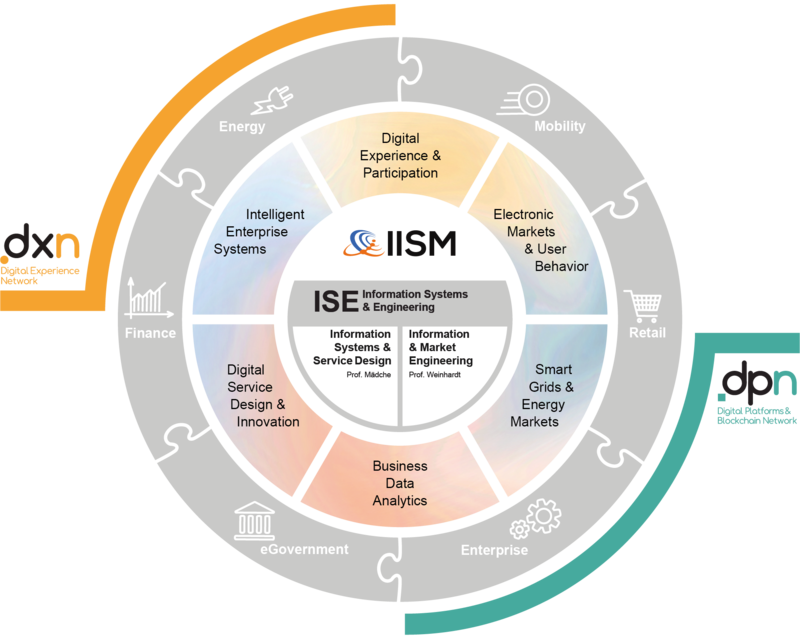 With its high-quality research output the group provides a solid foundation to realize the IISM vision “to create value from information“. With its education offerings, ISE contributes to the Industrial Engineering & Management and Information Engineering & Management programs of KIT.